Mutual of Omaha is a Fortune 500 mutual insurance and financial service company headquartered in the eponymous Mutual of Omaha Building, a 14- story skyscraper in midtown Omaha. This privately held company is a multi-line organization offering services in the fields insurance, banking, and financial products. Their clients include individuals, businesses and groups. Mutual of Omaha is headquartered in the Mutual of Omaha building in midtown Omaha. With its 285 ft, this 14-story skyscraper is the 6th tallest building in the city. The Mutual of Omaha Building, finished in 1970, is the largest of all the buildings in Mutual of Omaha’s Midtown Crossing development. Employees working in the building can enjoy the bright café located under the large glass dome of the underground facility adjoining the main building. Sometimes, the north face of the building is covered in a wrap featuring a huge photograph to celebrate a special event, such as the U.S. Olympic swim trials in Omaha 2008 or the Centennial of 2009. Midtown Crossing at Turner Park is a mixed-use development directly to the east of Mutual of Omaha’s headquarters. The 16 acres were developed by East Campus Realty, a subsidiary to Mutual of Omaha. The area contains seven buildings built around the expanded and revitalized Turner Park, and features – among other things – nearly 300 luxury condominiums, almost 200 apartment units, and more than 225,000 square feet of fine and casual dining, shopping and entertainment facilities. Many of the restaurants and retailers here are Omaha-natives, such as The Grey Plume, The Afternoon, and Wohlner’s Neighborhood Grocery & Deli. Free community events are often held in Turner Park, such as jazz concerts, yoga sessions and seasonal festivities. The community is a LEED Certified Green Community. The Mutual Benefit Health and Accident Association was founded in 1909 by the married couple C.C. and Mabel Criss. At the time, C.C. Criss was a medical student at Creighton University in Omaha. The articles of incorporation was filed with the Nebraska Insurance Department on March 5. 1920: For the first time in the history of the company, the premium income exceeds 1 million USD for the year. 1927: V.J Skutt starts working for the Mutual Benefit Health and Accident Association. He would later become the company president. 1941: The Group Insurance department is founded. 1949: V.J. Skutt becomes company president. The 1950s was a period of rapid expansion for the company. 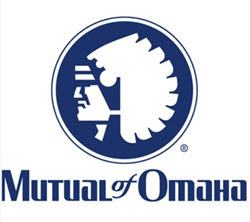 They had a new president, a license to sell insurance in all 48 states, and a new name which was much shorter than the old one, because in the 1950 Mutual Benefit Health & Accident Association became Mutual of Omaha Insurance Company, commonly referred to simply as Mutual of Omaha. 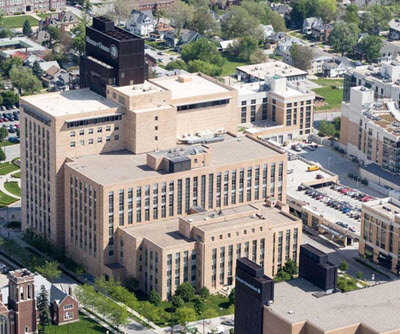 In many ways, Mutual of Omaha was a 20th century pioneer. They were for instance one of the first U.S. insurance companies where non-professional workers could be covered by a disability insurance policy, and in 1966 it became one of the first insurers to offer supplementary coverage for people enrolled in Medicare. 2007: Omaha Financial Holdings, Inc. is created to be the parent company of Mutual of Omaha’s banking ventures. 2016: The company reaches $3 billion in policyholder surplus. In 1963, Mutual of Omaha launched a sponsorship with which it would become very strongly associated: Mutual of Omaha’s Wild Kingdom. This was a wildlife television program running 1963-1988, hosted by Marlin Perkins, Jim Fowler and Peter Gros. In 2002, it was brought back to life again in the form of a new series running on Animal Planet. Today, the program is shown online, with Stephanie Arne as the host. Mutual Omaha has sponsored many athletes and sporting events, especially within the fields swimming and golfing (PGA Tour and LPGA Tour).